So if you are a late shopper this list might help you out. I myself am always a last minute shopping person. If you have any other shopping ideas please comment below. This is a quick easy gift for any father. This set is from IKEA. Does your father have a sweet tooth? this gift idea is so cute and super inexpensive to make. You need six empty bottles of jones soda bottles,and the cardboard carrying pack they come in. Go to your local bulk barn store and fill each bottle with your fathers favorite treat. Do you have something special planned? what is your go to last minute shopping ideas? Awesome ideas, thank you for sharing. wow that popcorn thing is pretty darn cool! I really like the bottles with the candy. I think that is an excellent and easy gift idea. Although I like the bottles with candies, I think most dads will appreciate the tool set coz they love to tinker stuff. I love the sweet tooth idea. Very creative and thanks for sharing. This is a awesome idea, i love the creativity. Thanks for sharing. Bottles with candy... that's an interesting concept. DIY gifts are the best! Thanks for sharing! Very smart ideas for last minute gifts for Father's Day! Great ideas! We are going to be a small BBQ. Lottery tickets are always a good go to as a last minute gift for the men in my family. Such Adorable Ideas Love Em I Must Try The Bottles With Candy With The Kids Thank You! I love that candy six pack my husband will devour it!! great idea! 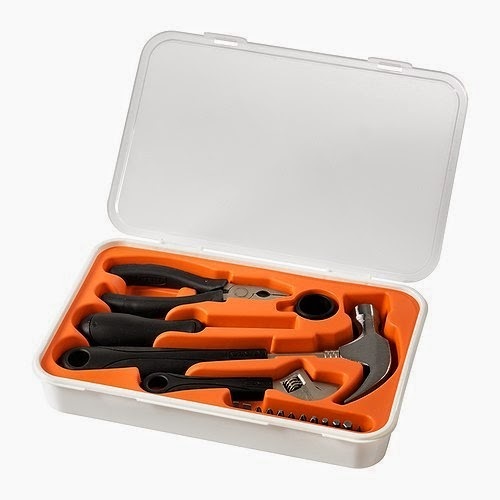 Tools are always great father's day gift. I think outdoor gear would also be a good gift. I really like the bottles. My dad would too. Cool ideas! I like the item number 2 and 3. Happy Father's day! 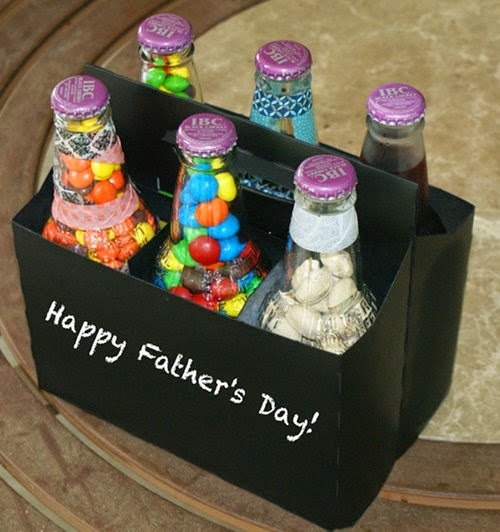 LOve the candy in the bottle, what a cute homemade idea! These are very cute! I especially love the stanley cup popcorn maker!!! They deserve a trophy right? As they say and I agreed it is always better late than never or nothing and I found that tool kit a perfect gift for every dad. Love that soda pop idea. We love making and giving food for Fathers Day.